LG to focus on quantum dot and OLED for next-gen TVs | What Hi-Fi? LG has confirmed that it will be supplementing its range of OLED TVs with cheaper, easier to manufacture, quantum dot technology televisions as it plans its next-generation TV strategy. Jung Do-hyun, LG Electronics' chief financial officer, told analysts: "We are pursuing a dual-track strategy with quantum dot and OLED." 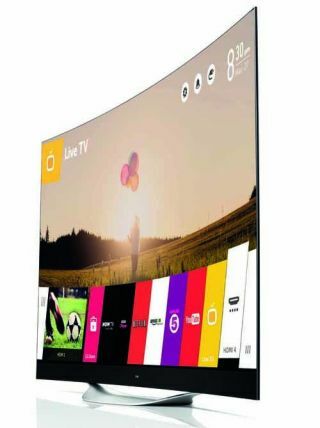 LG, the world's no.2 television maker behind Korean rival Samsung, launched the world's first curved 4K OLED TVs earlier this year - but with a price tag of £8000 for a 65in set, they clearly won't be for everyone. Quantum dot technology is cheaper and easier to make, so it should mean far more affordable prices for consumers. Chinese manufacturer TCL showcased a 55in 4K Ultra HD quantum dot TV at the IFA show in Berlin last month [September], but there was no official word on a UK release date or price. Rumours suggest it could be well under half the price of a similarly-specified OLED, however. Meanwhile, Sony already uses quantum dot technology in the back-lighting of its 'Triluminos' LCD TVs, including the KD-65X9005A. News that Dow Chemical Co. is to build a new quantum dot plant in South Korea seems to confirm that LG and Samsung will be launching quantum dot TVs, with work is due to begin at the plant in the first half of 2015 according to Reuters. It looks like we can expect to hear more about quantum dot TVs at CES 2015.